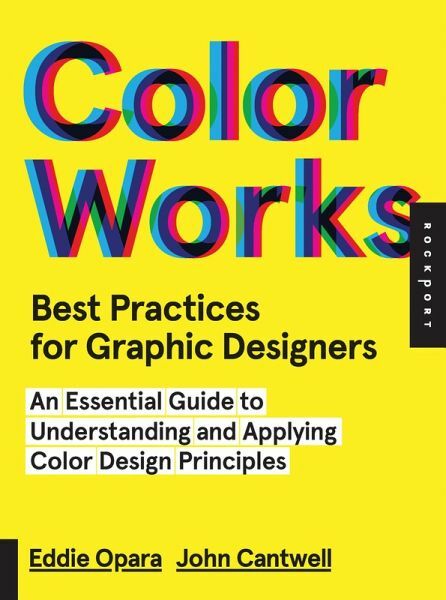 This is the go-to guide for designers as it outlines and details the essential color design skills needed to create successful, meaningful, and aesthetically compelling designs. Along with hands-on projects, it offers unique insights into strategy and business when working in the real world with real clients.Color Worksstarts with basic information on color practices and fundamentals, and then delves more deeply into theory and application on a project-by-project basis. Illustrated with real-world projects and case studies, this book offers a behind-the-scenes take on the design process and the necessary steps to go from concept to final outcome, including the challenges encountered along the way. Eddie Opara is a partner at Pentagram (pentagram.com). He is a multi-faceted designer whose work encompasses strategy, design and technology. His projects have included the design of interactive installations, websites, user interfaces and software, brand identity, publications, packaging, and environments, with many of his projects ranging across multiple media. His clients have included the Menil Foundation, the Studio Museum in Harlem, Jazz at Lincoln Center, the Queens Museum of Art, the Mori Art Museum, JWT, Vitra, Prada, St. Regis Hotels, the Corcoran Group, Morgan Stanley, New York University, UCLA, Grimshaw Architects, (ARO) Architecture Research Office, Harry N. Abrams and Princeton Architectural Press. His work is in the permanent collection of the Museum of Modern Art and has appeared in publications such as Archis, Surface, Graphis and I.D. He lives in New York City.